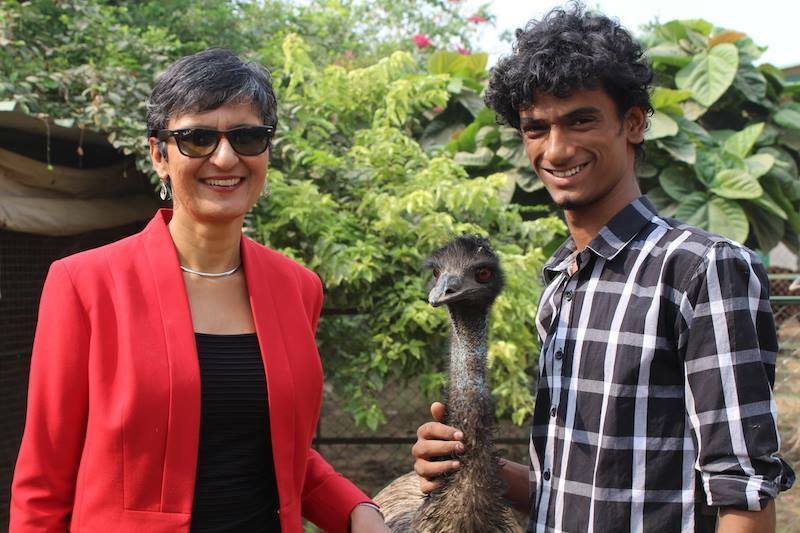 The emu farming experiment in India ended in a disaster with lakhs of birds being abandoned and left to fend for themselves. A handful of these birds now live in ACGS with a large emu run. Some of them actually come up to you and fearlessly snuggle. They are lovely, intelligent birds.